Factor analysis aim to provide usable numerical values for quantities such as intelligence or social status that are not directly measurable. 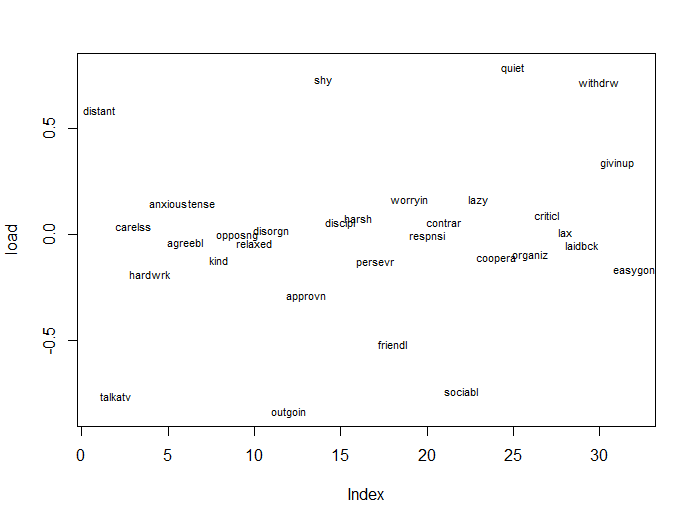 The data is to use correlation between observable variables in terms of underlying “factors”. “Factors” in factor analysis is not the same as the categorical explanatory variables. Compared with PCA, the variables themselves are of relatively little interest in factor analysis; it is an understanding of the hypothesized underlying factor factor that is the main aim. The idea is that the correlation amongst the variables are explained by the common factor. The function “factanal” performs maximum likelihood factor analysis on a covariance matrix or data matrix. 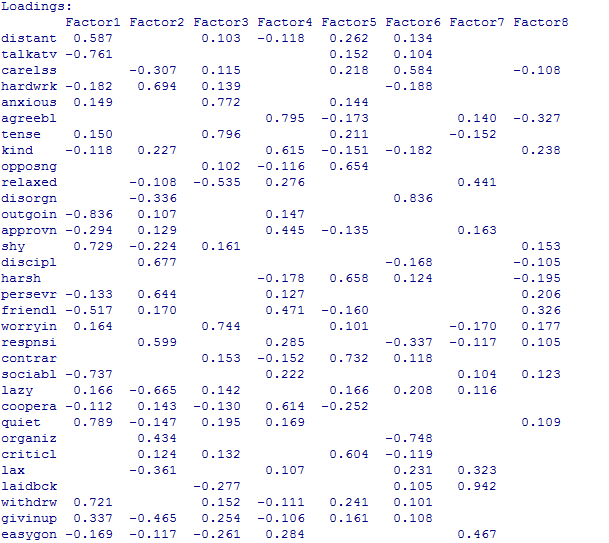 The “pgd” dataframe, you need to specify the number of factors you want to estimate. Ok, I don’t have any data, so we will use this data which is provided by stanford, lets have look into the data. install.packages("corrplot") #it will install the package. 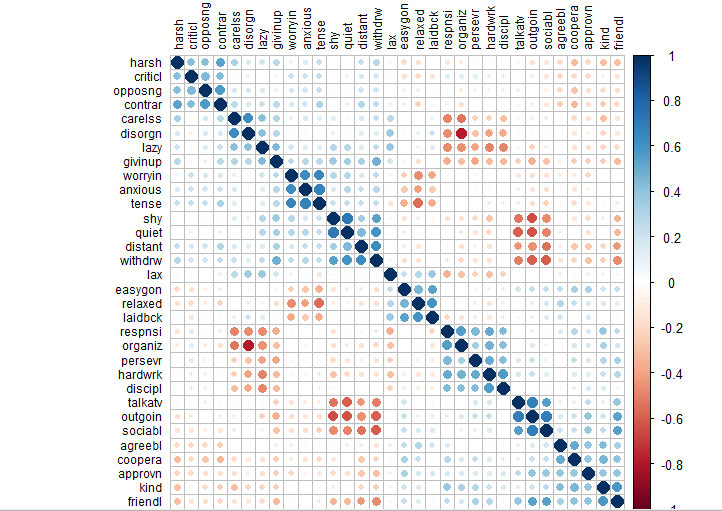 There appears to be some structure in the data, with 2 general classes of traits (negative vs. positive), and within each cluster, there are some sub-clusters that hang together. We can look at the sums of squared (SS) loadings. Sum of squared loadings are the eigenvalues, or the variance in all variables which is accounted for by that factor (i.e., the eigenvalue/# of variables = proportion variance). If a factor has a “high” sum of squared loadings/eigenvalue, then it is helping to explain the variances. in the variables. In the factanal() output, the factors are ordered by their eigenvalues, with higher eigenvalues first. As a rule-of-thumb a factor is important if its eigenvalue is greater than 1 (i.e., the average); this is also referred to as the Kaiser Rule. Here, factors 1-6 appear to be important. We can calculate the eigen values from factor loadings. Lets stay tuned for the next part of this tutorial. should be added to the above.